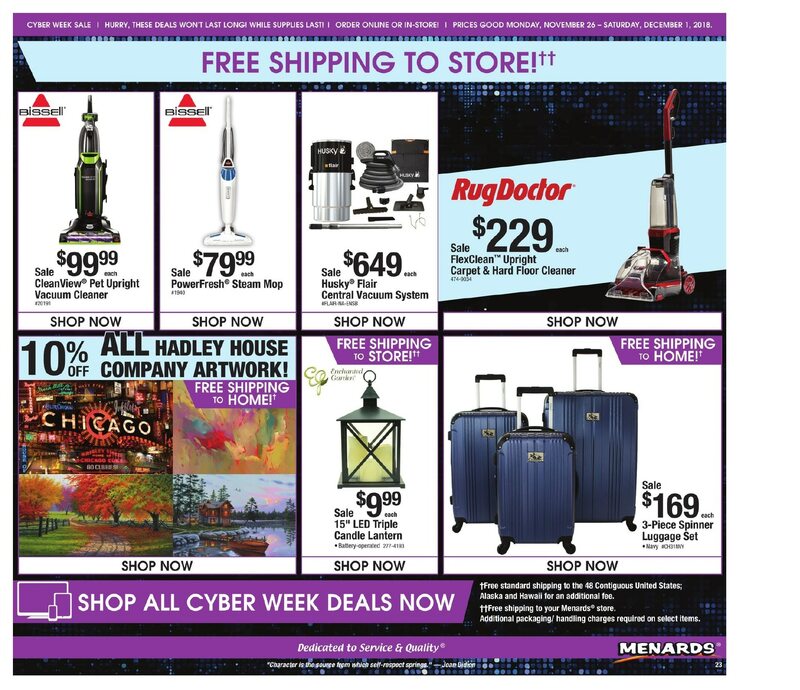 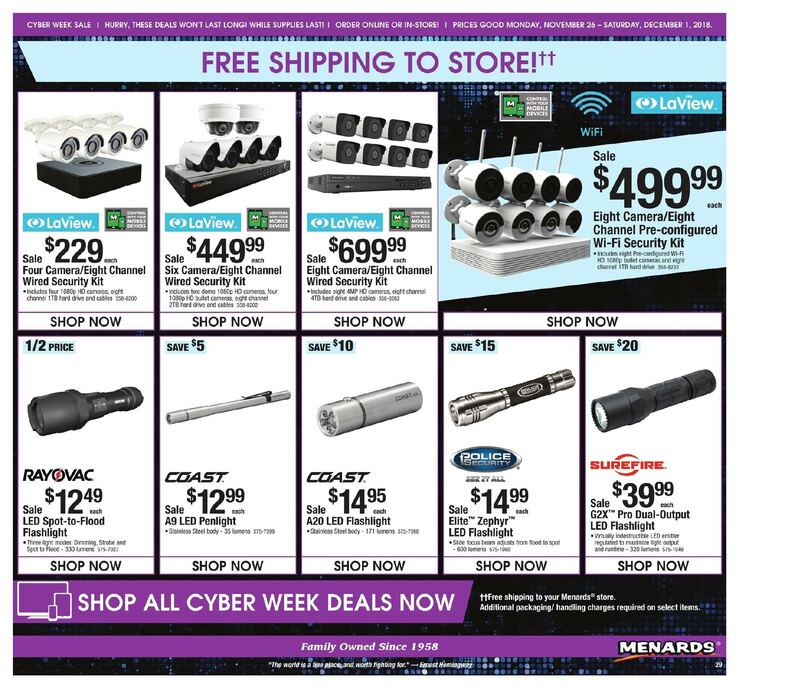 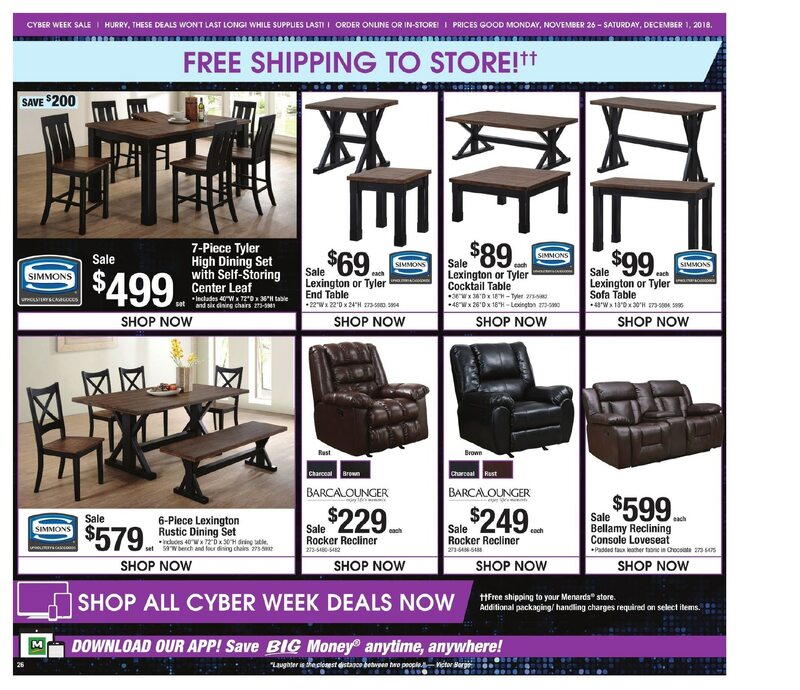 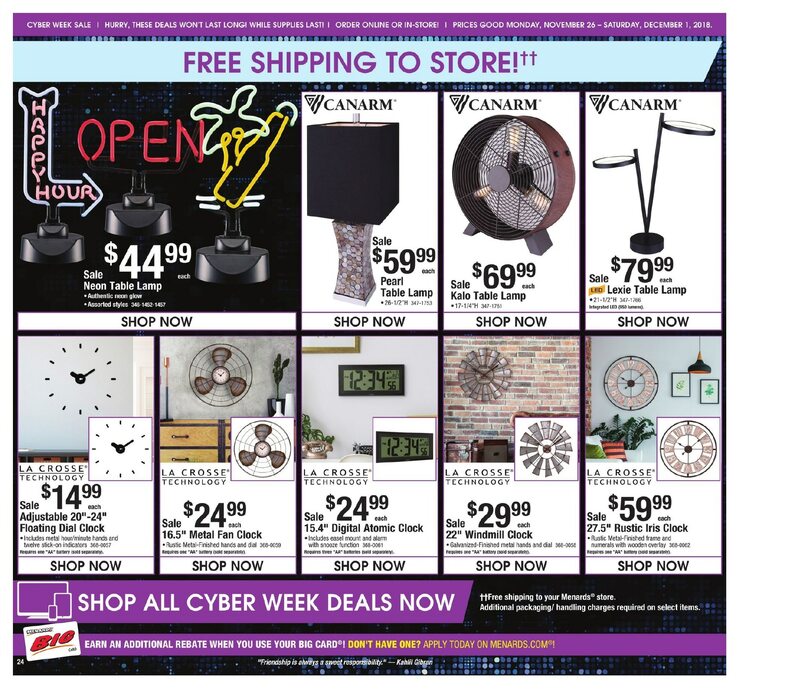 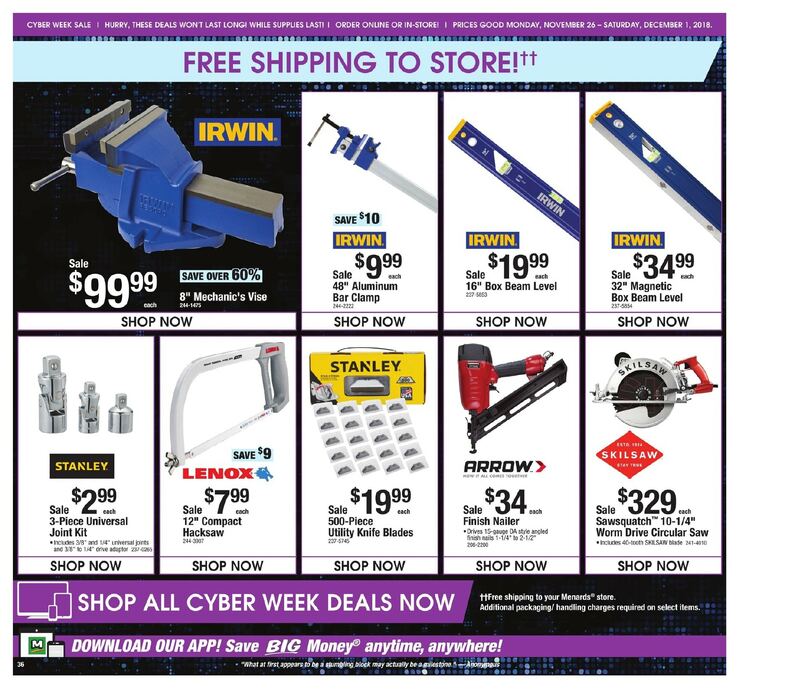 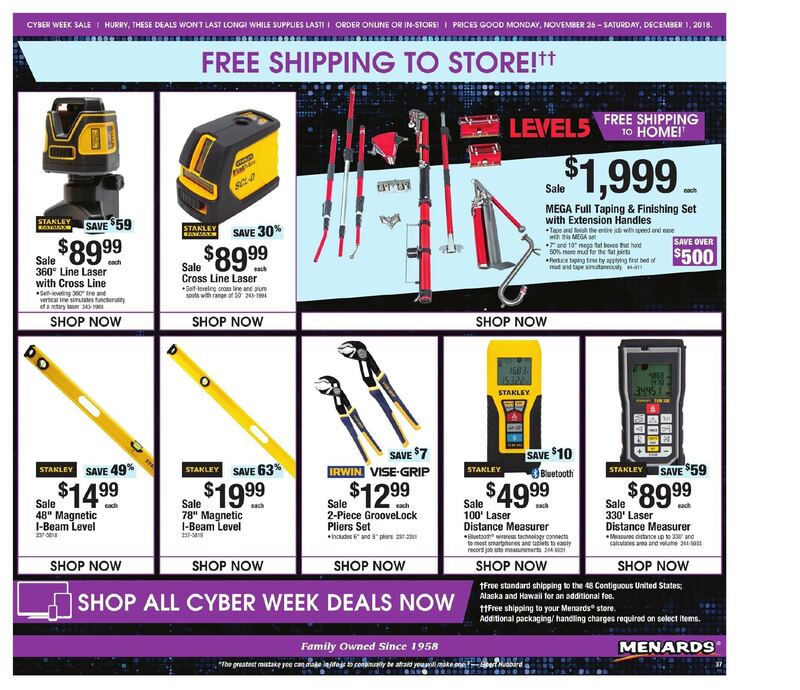 Browse Menards Cyber Monday 2018 Sale, valid Monday, November 26 through Saturday, December 1. 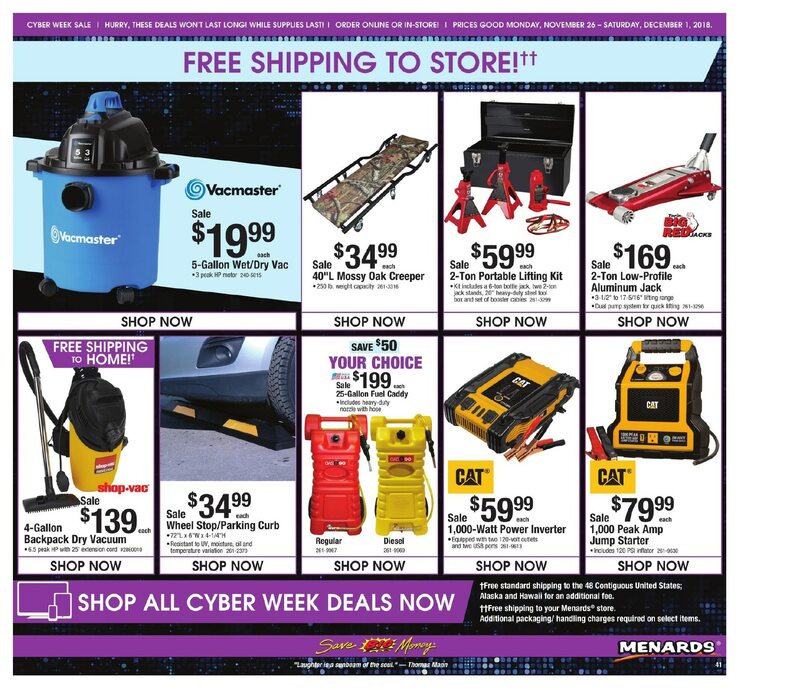 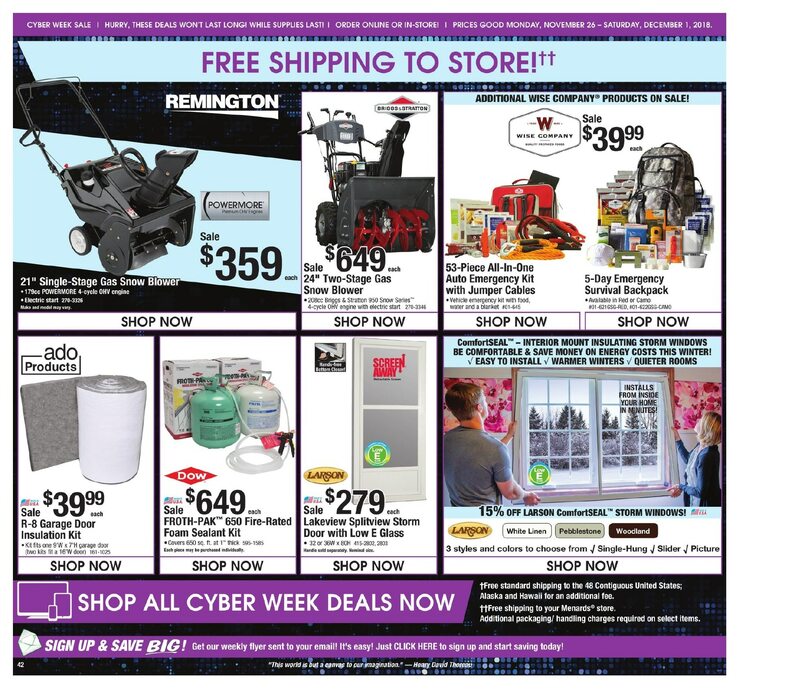 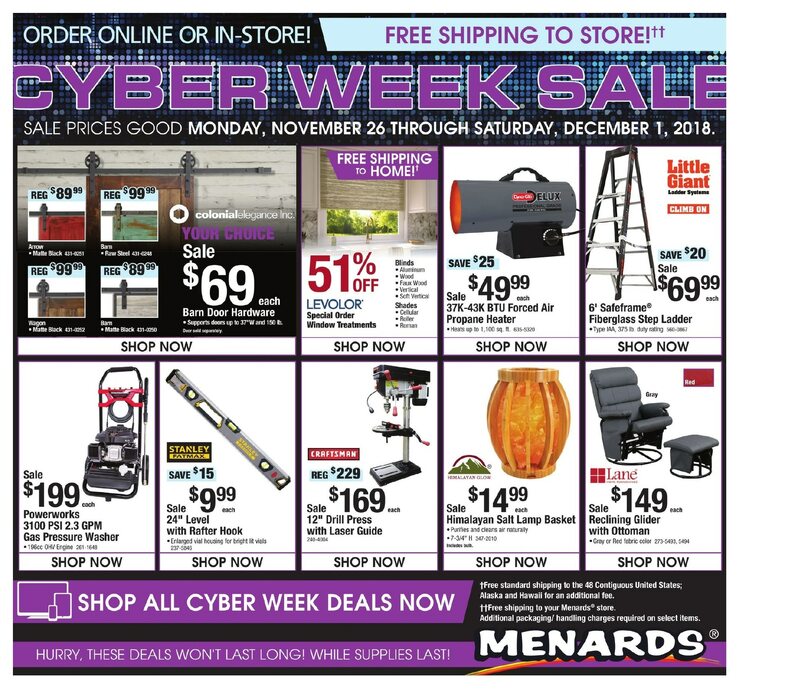 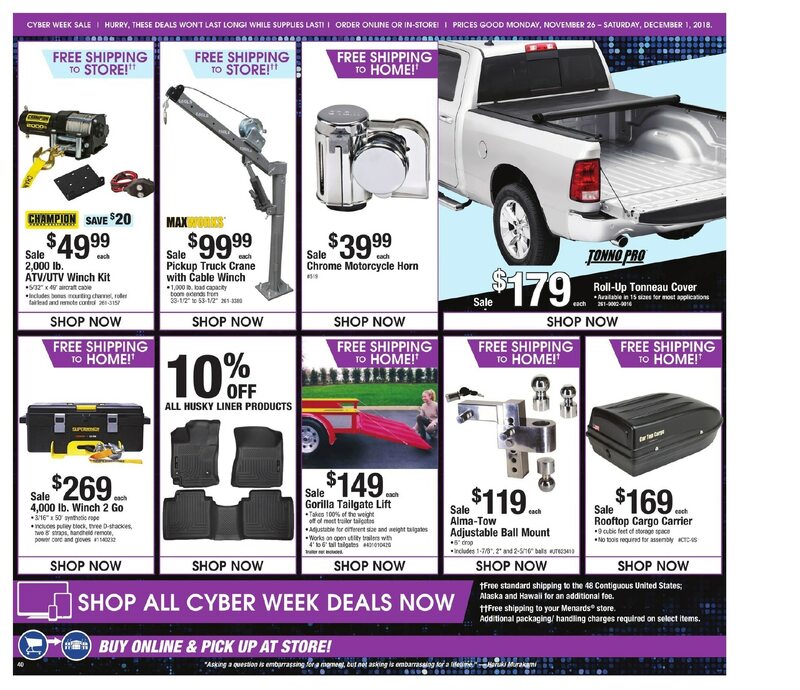 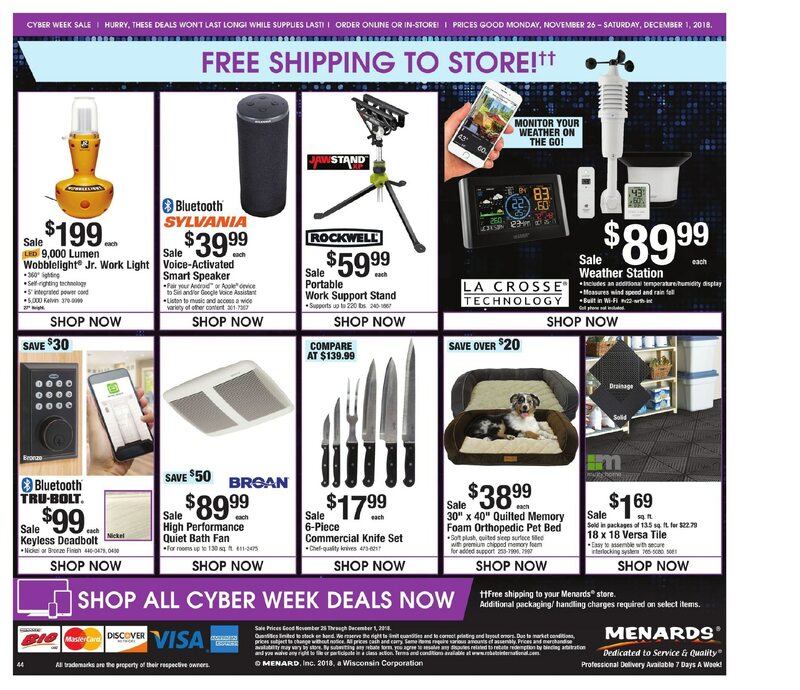 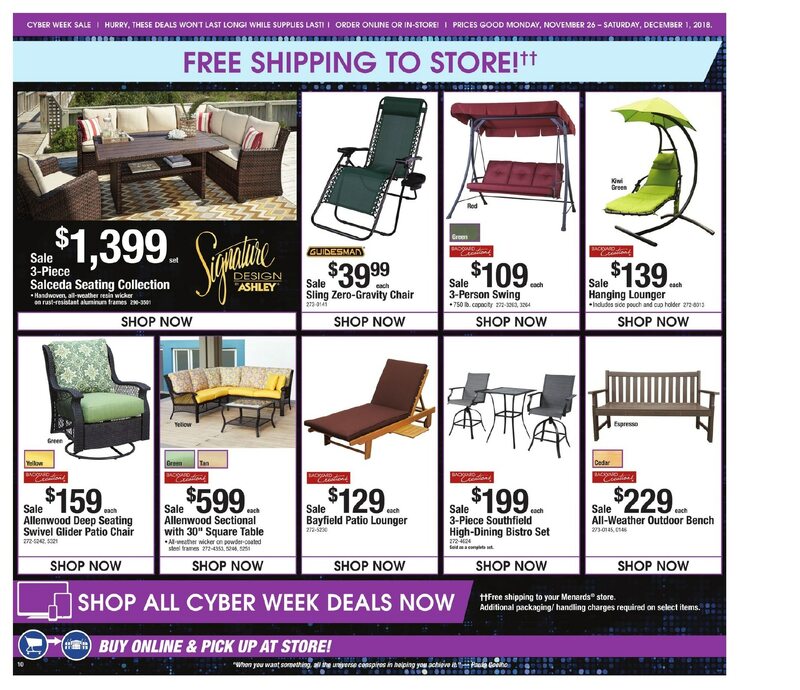 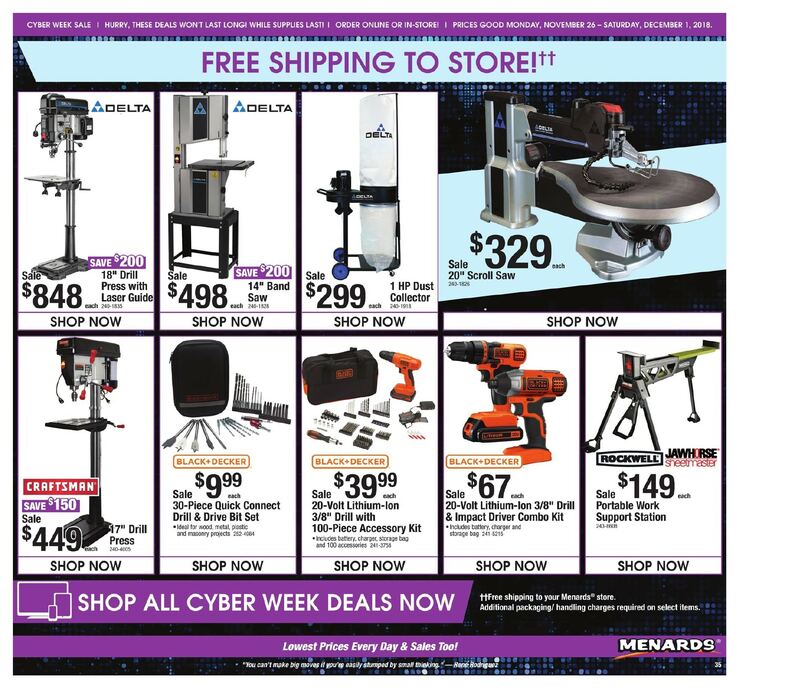 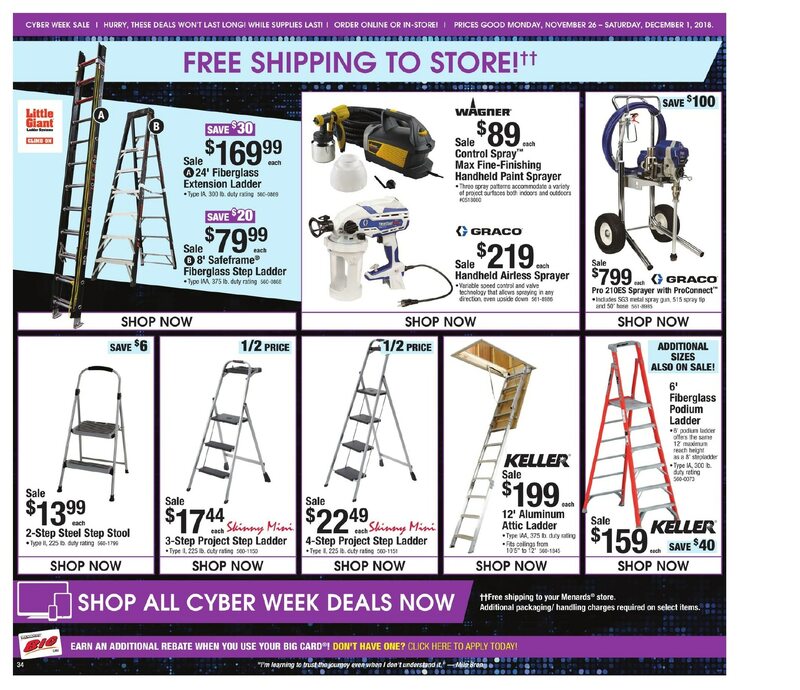 Top Menards Cyber Monday deals: Barn Door Hardware, 6-inch Safeframe Fiberglass Step Ladder, Powerworks 3100 PSI 2.3 GPM Gas Pressure Washer, 24-inch Level w/Rafter Hook, 12-inch Drill Press w/Laser Guide, Himalayan Salt Lamp Basket, Reclining Glider w/Ottoman, Ford Mustang R/C Car, Ford F-150 SVT Raptor R/C Truck, Dodge Challenger R/C Car, 40-Quart Clear Latching Tote, 121-Quart Clear Latching Tote, Full-Motion TV Wall Mount, Retro Telephone, 10.1-inch Wi-Fi HD Digital Photo Frame. 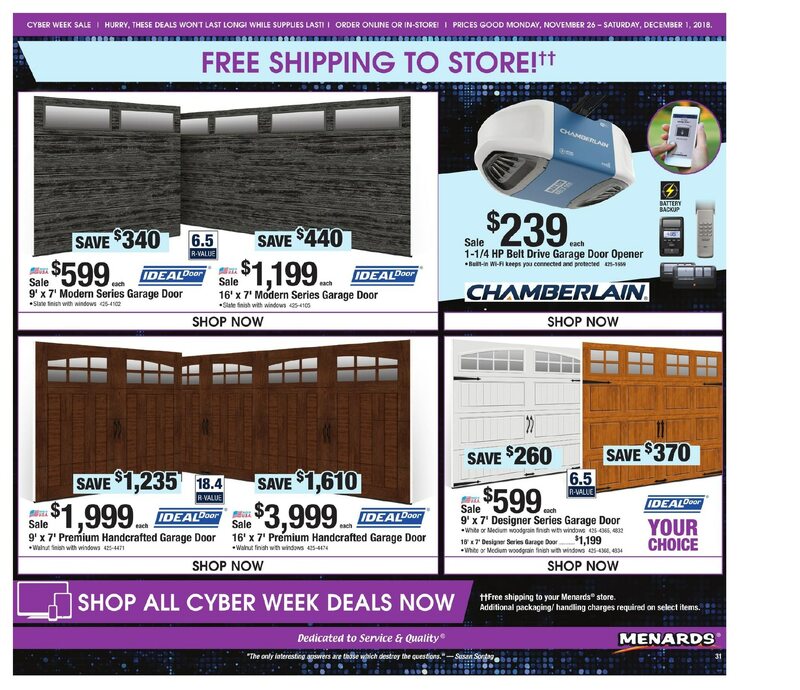 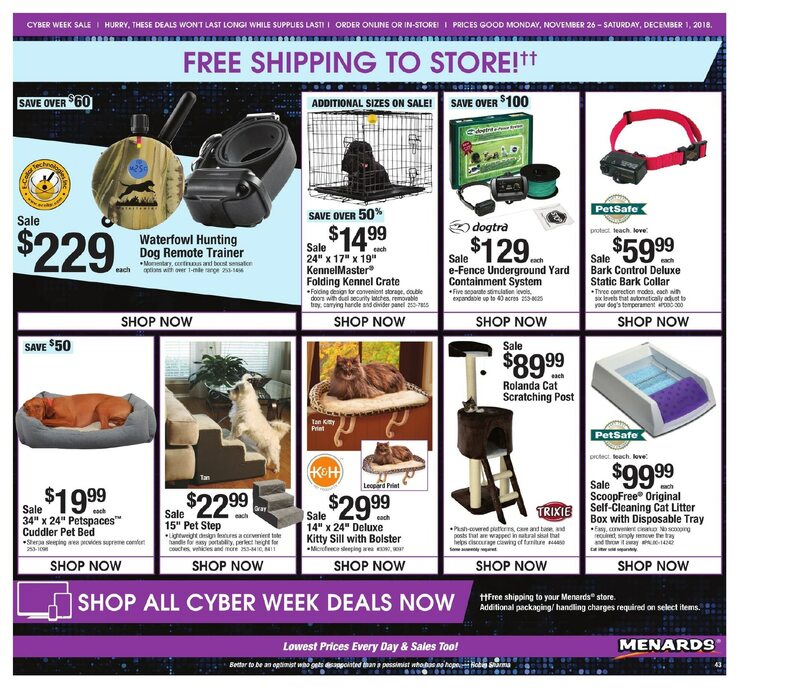 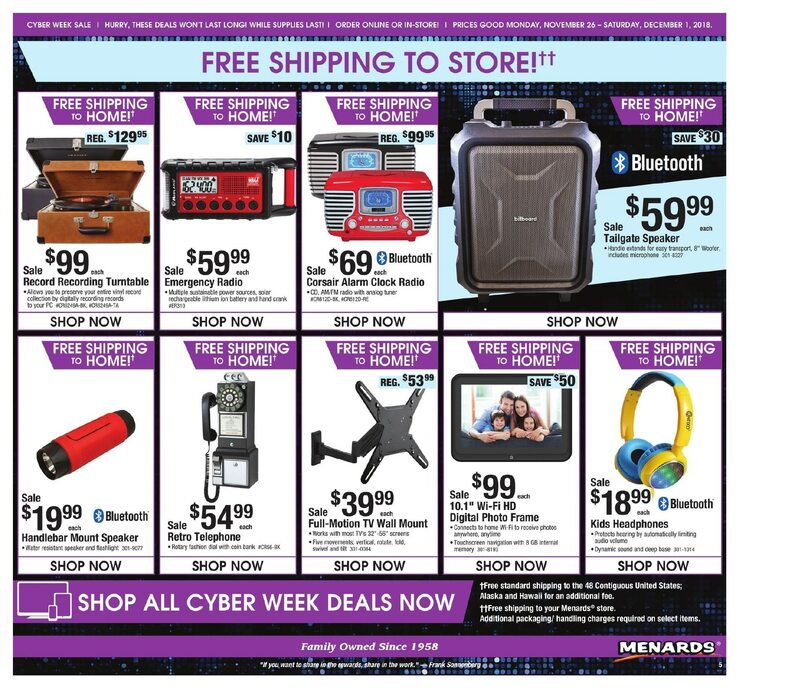 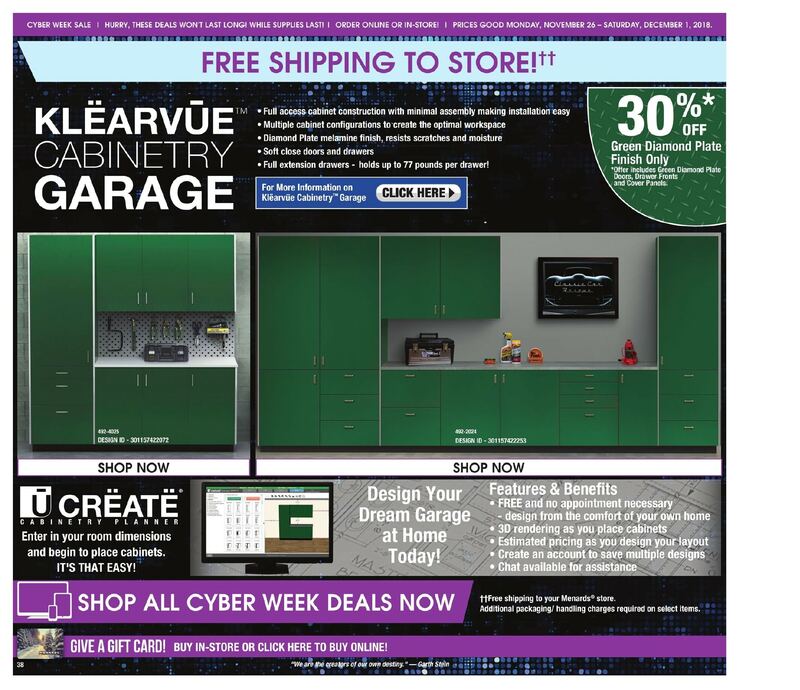 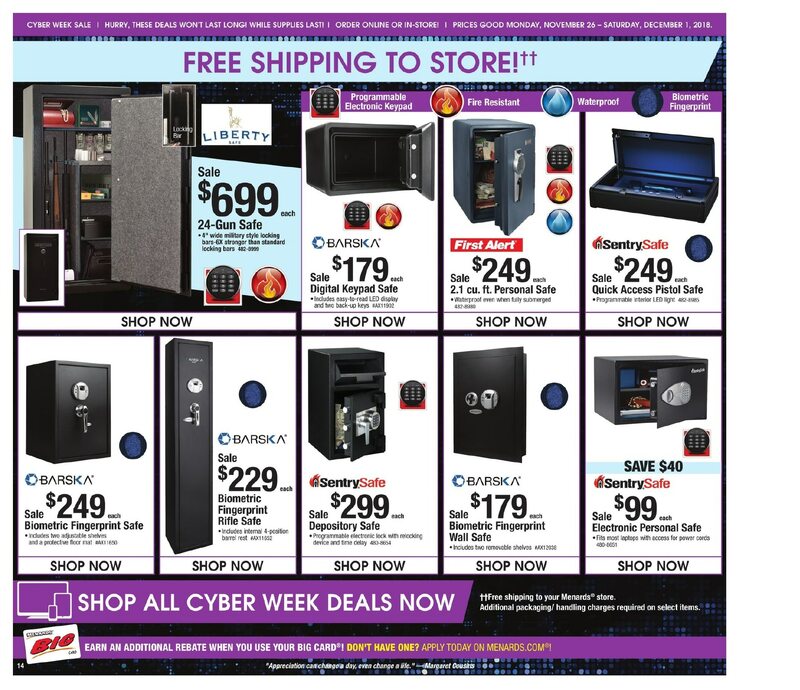 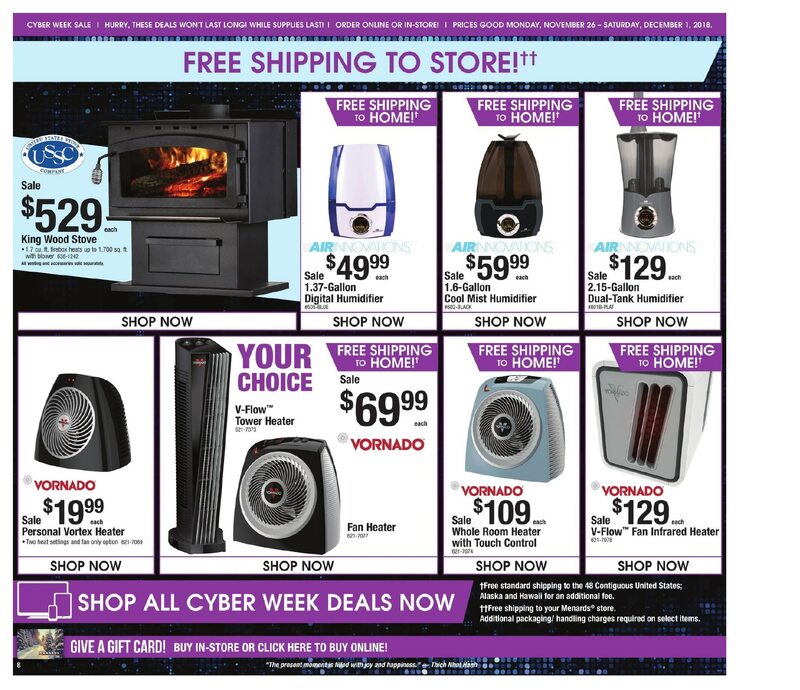 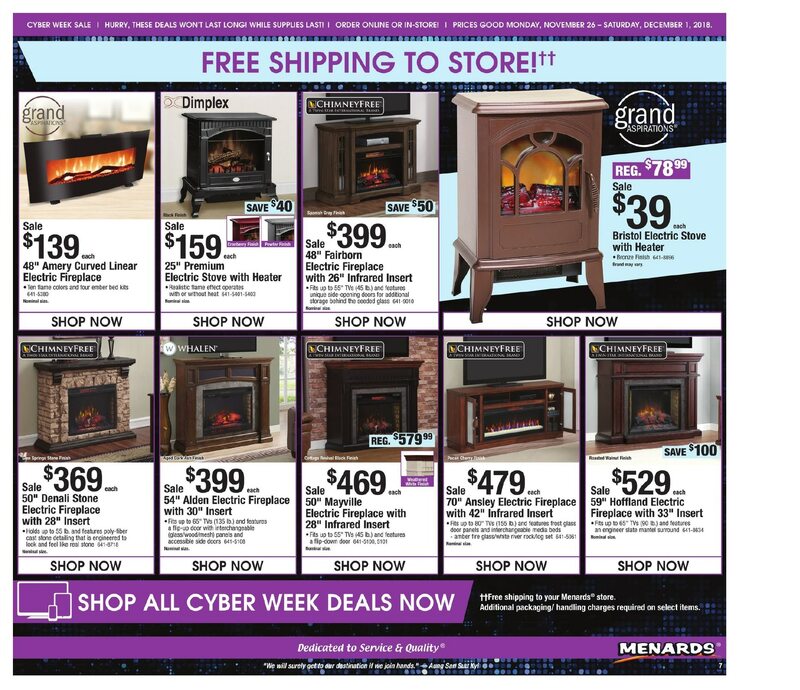 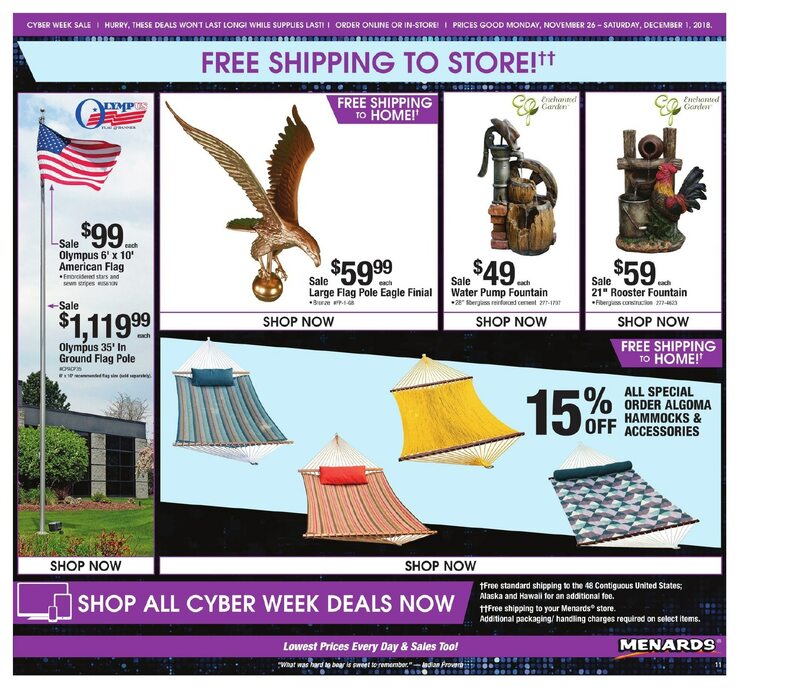 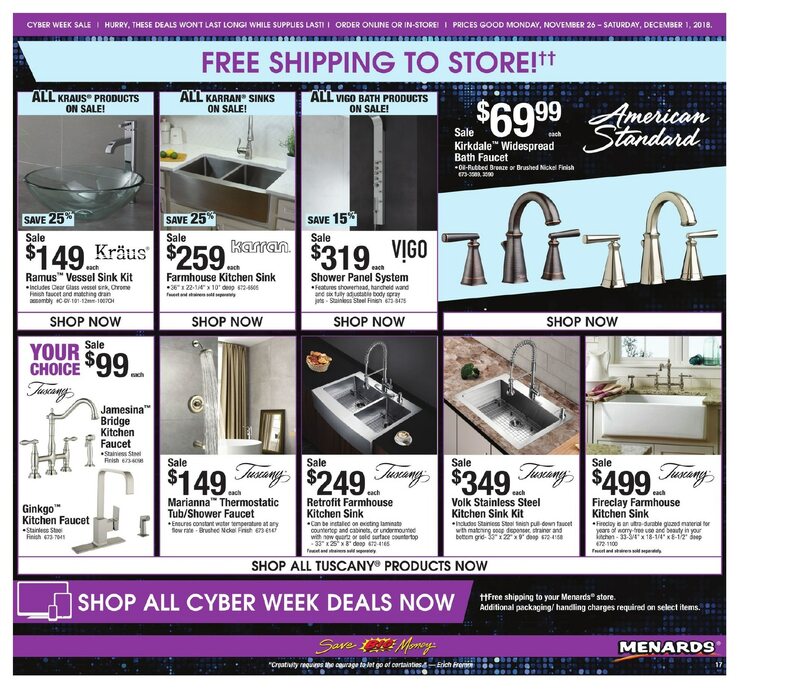 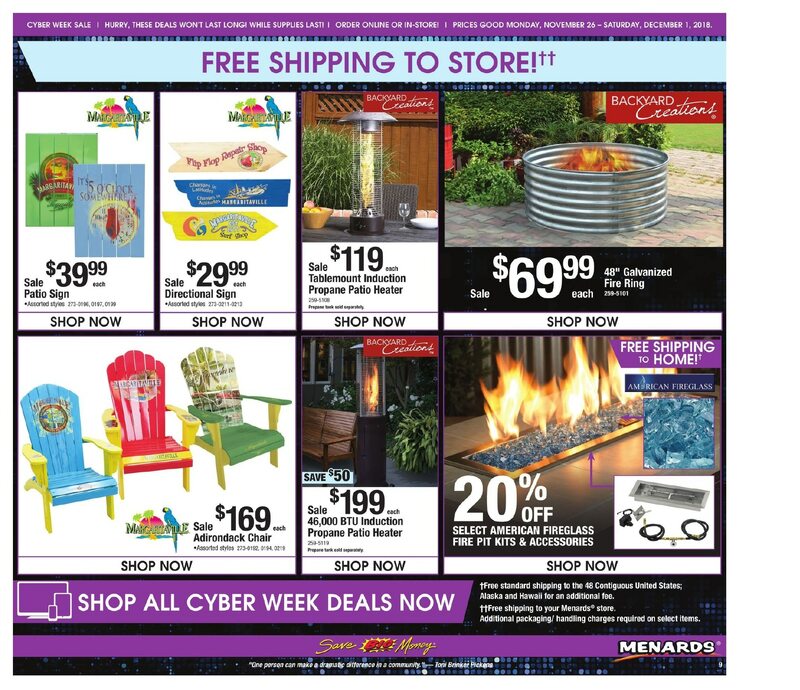 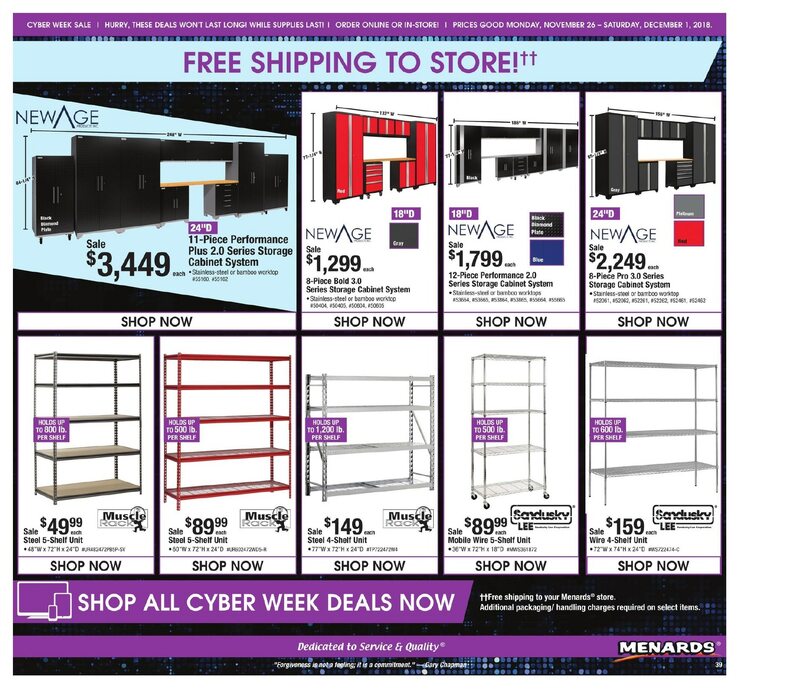 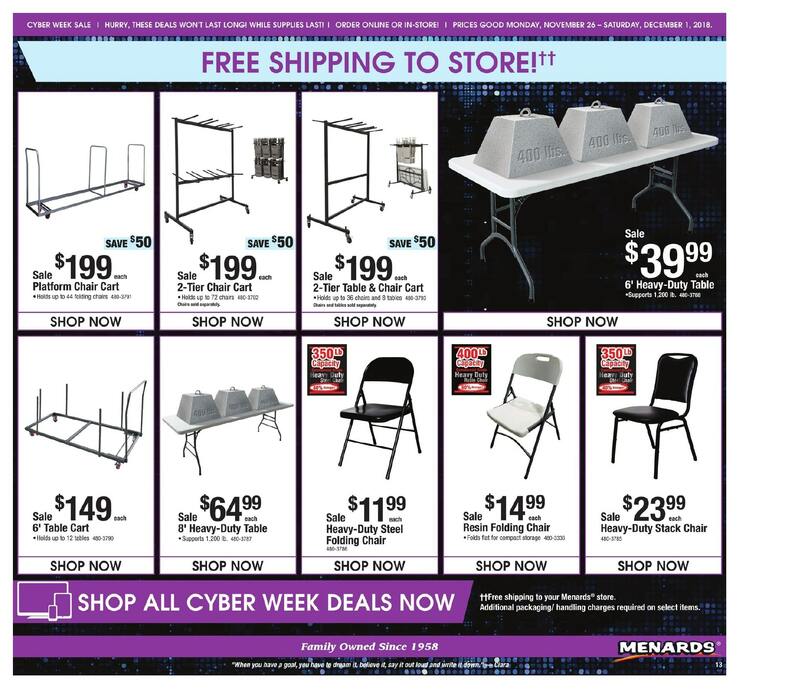 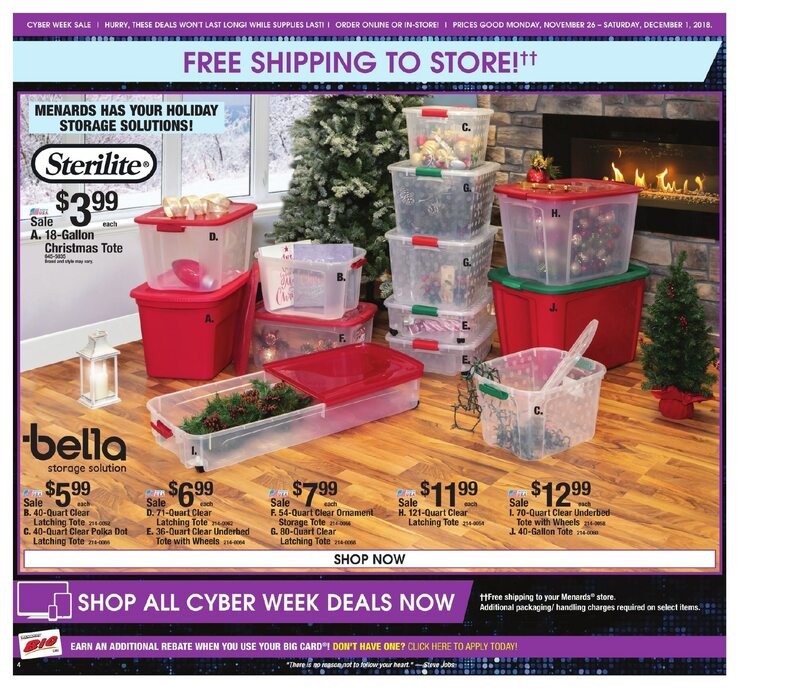 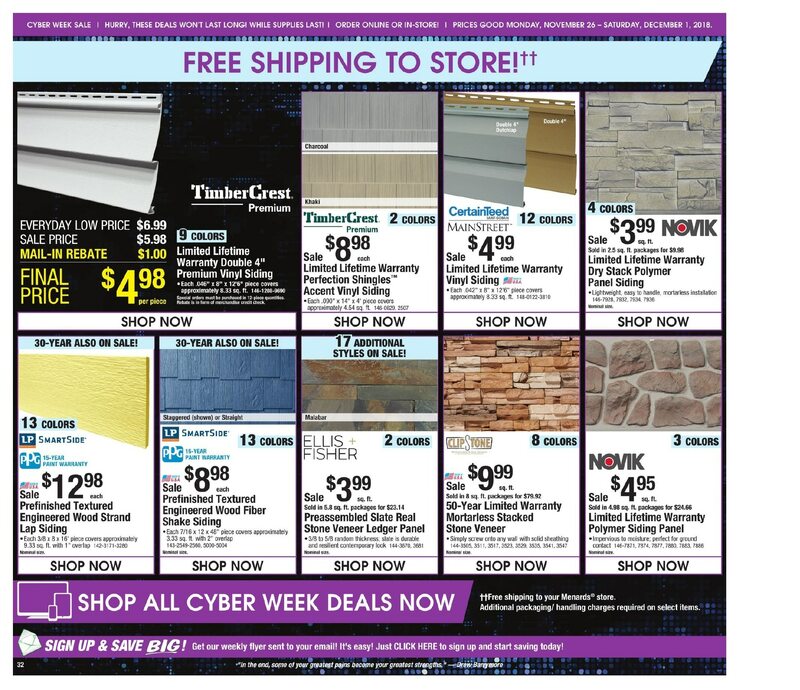 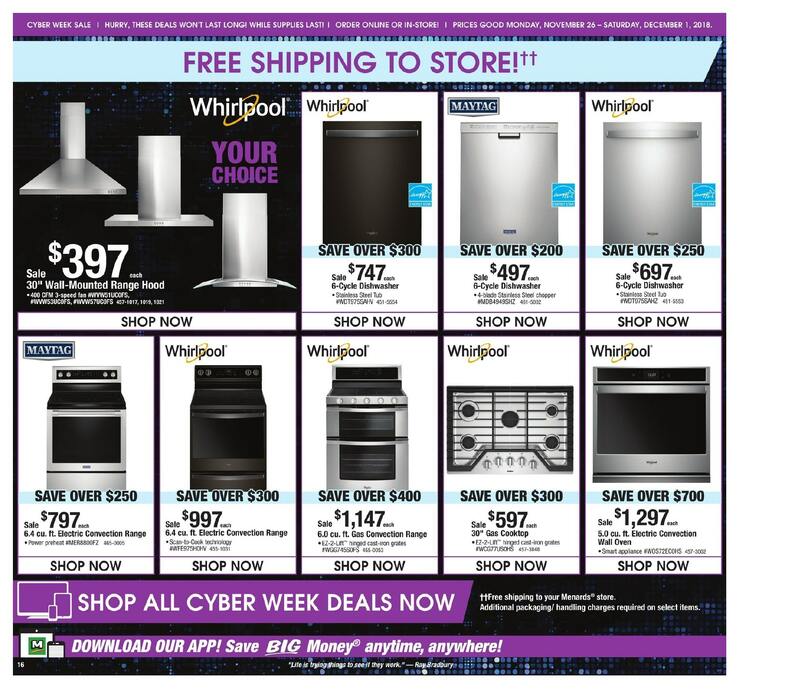 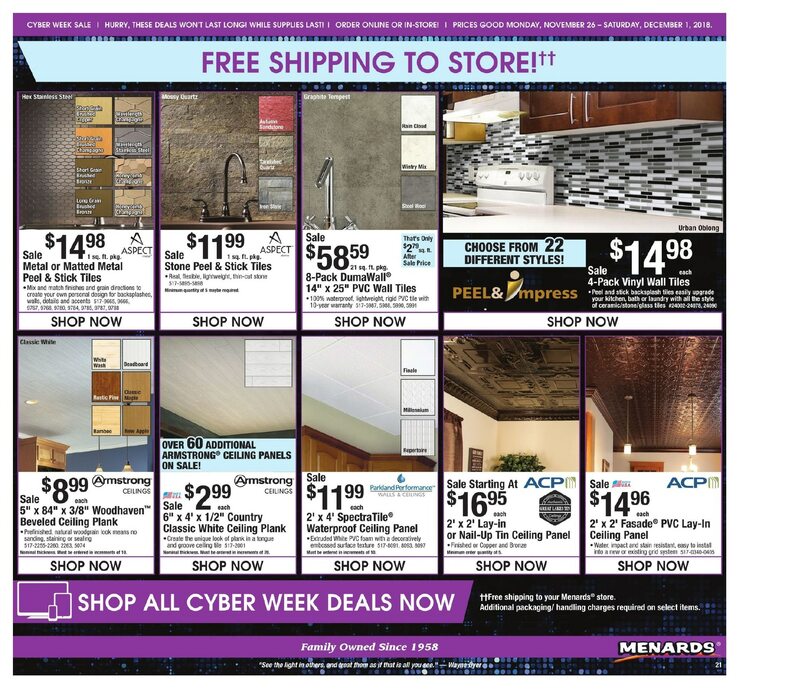 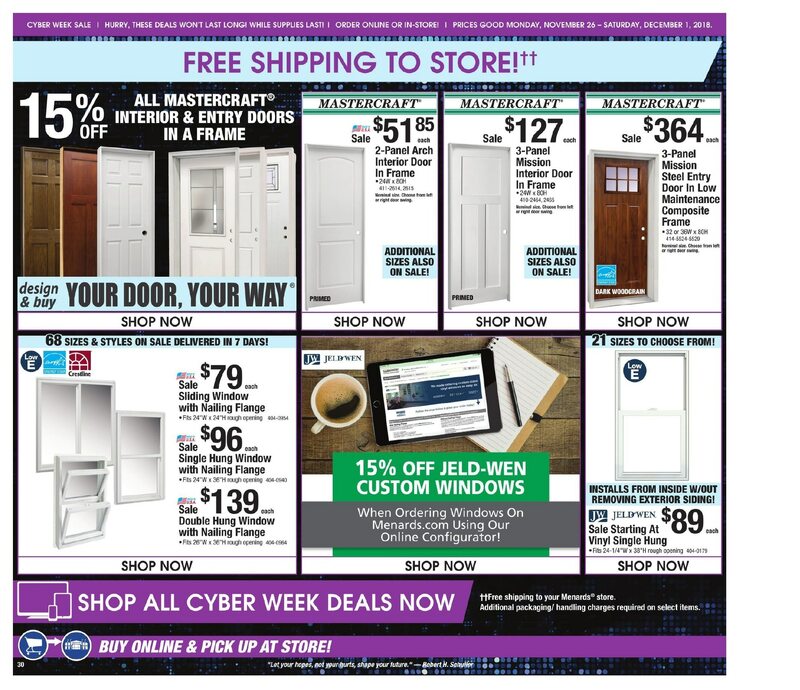 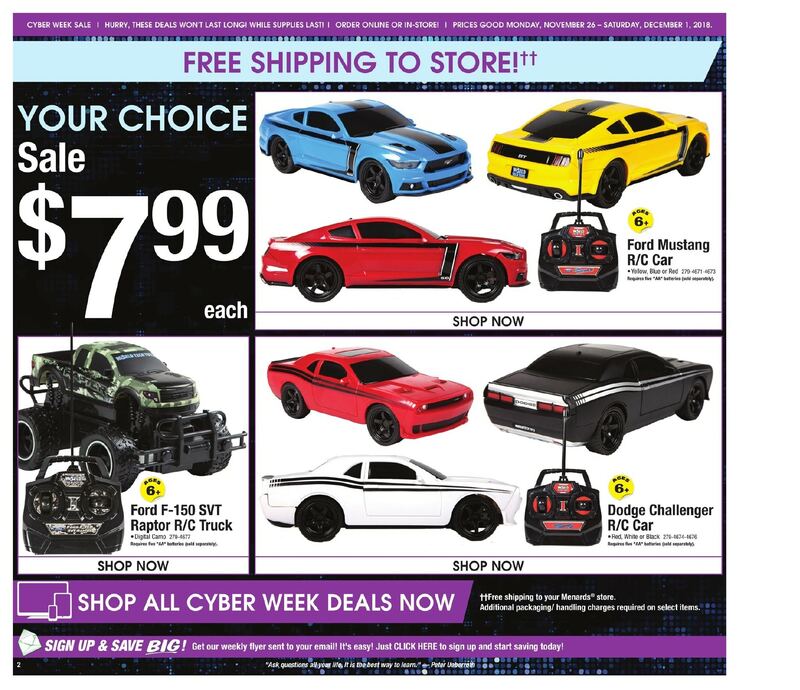 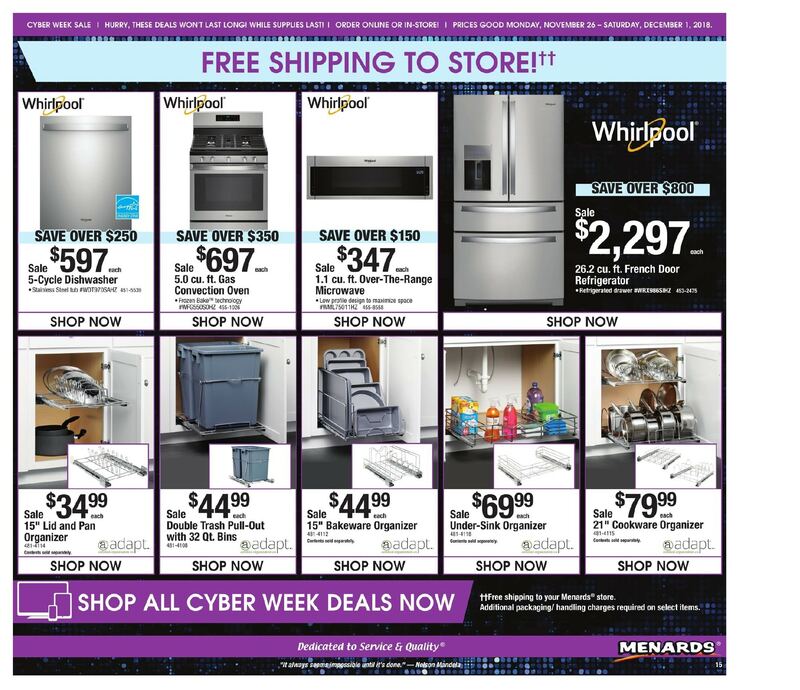 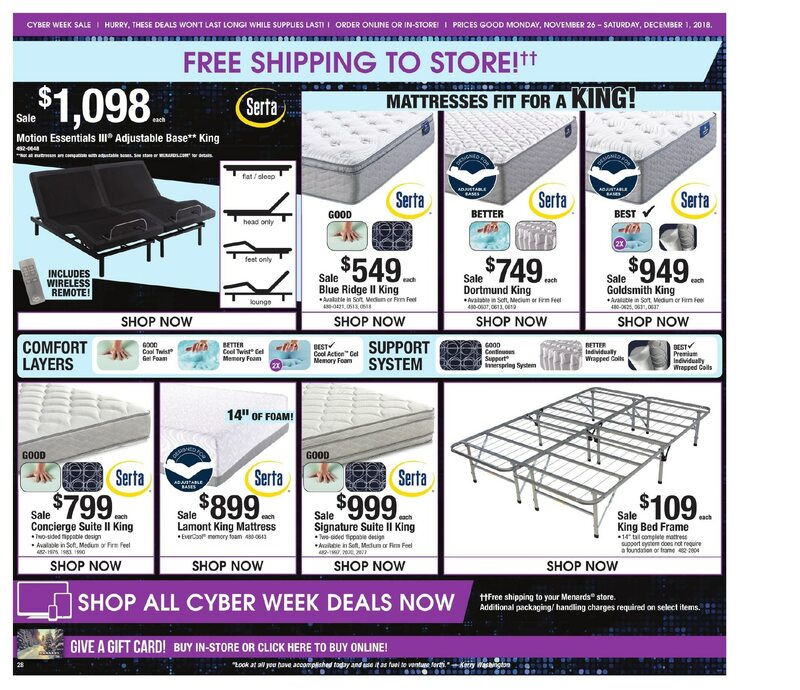 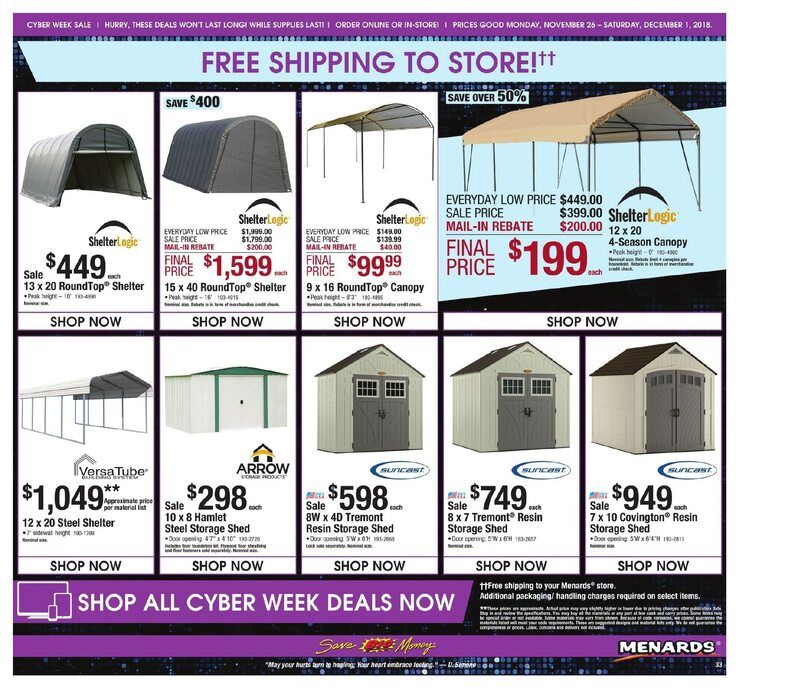 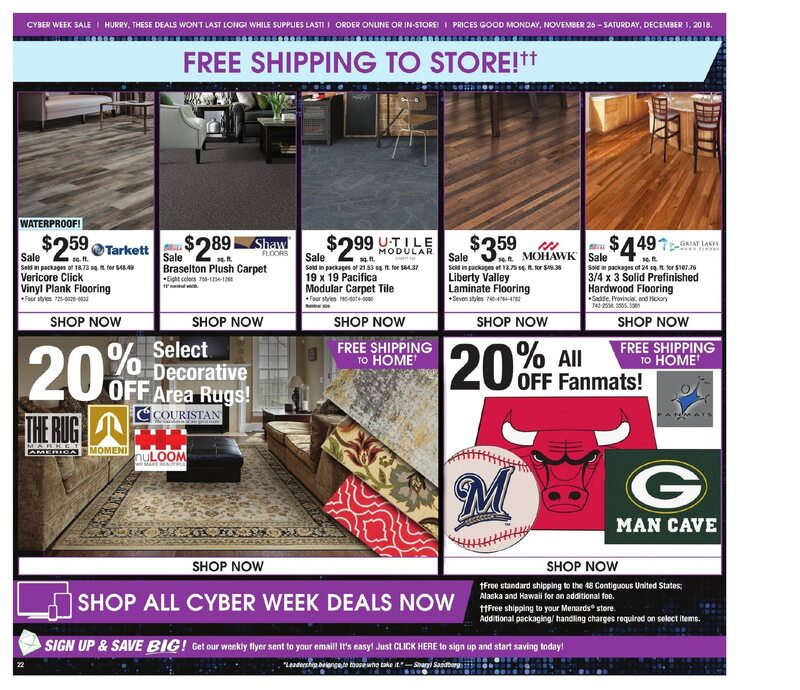 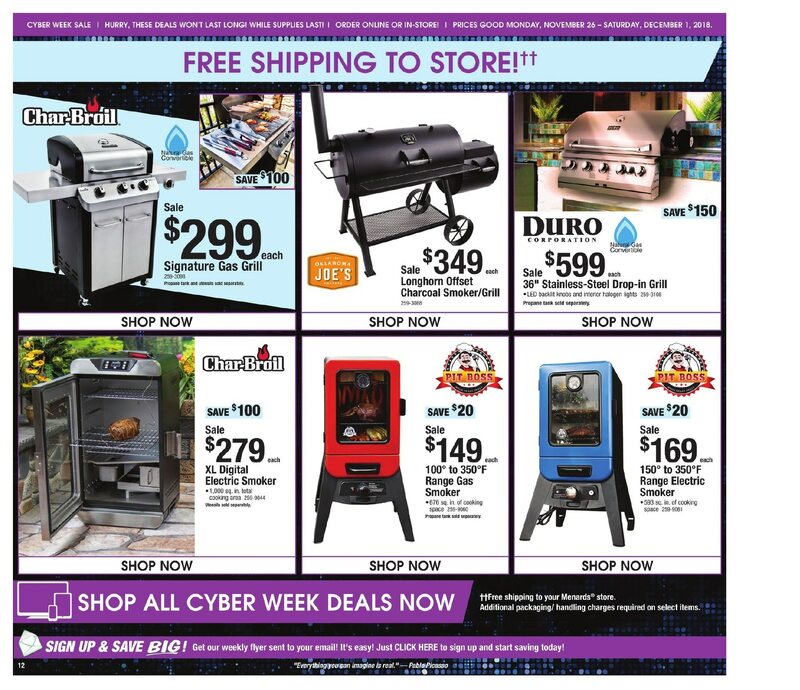 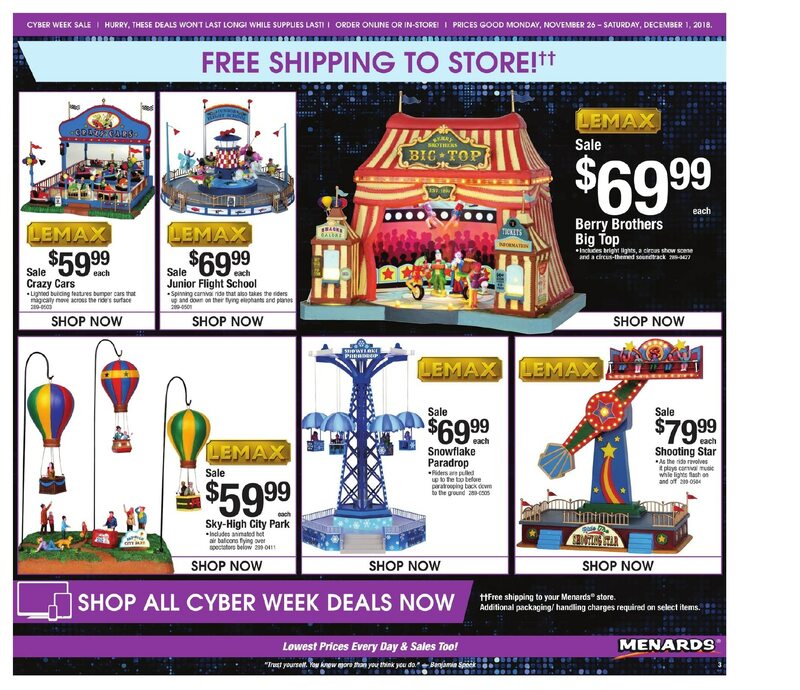 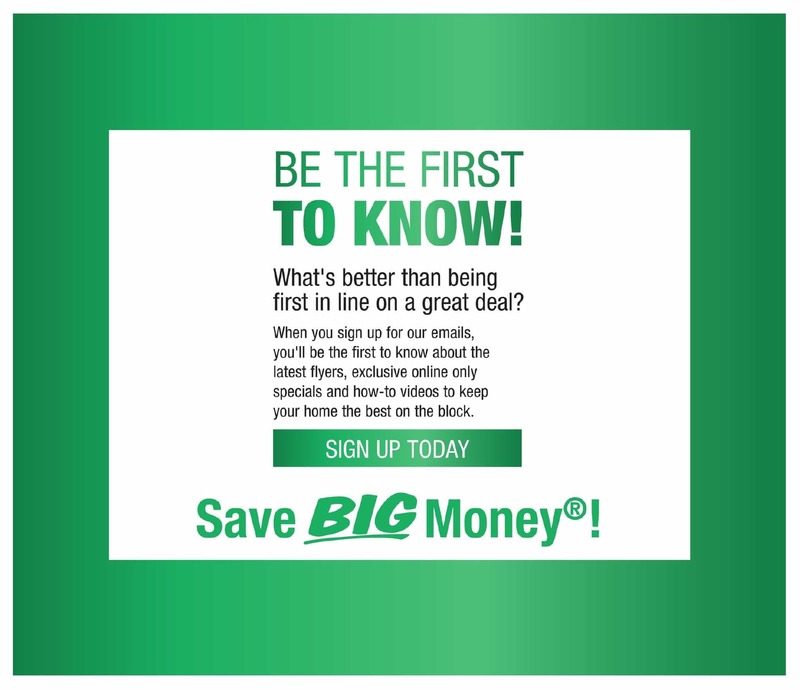 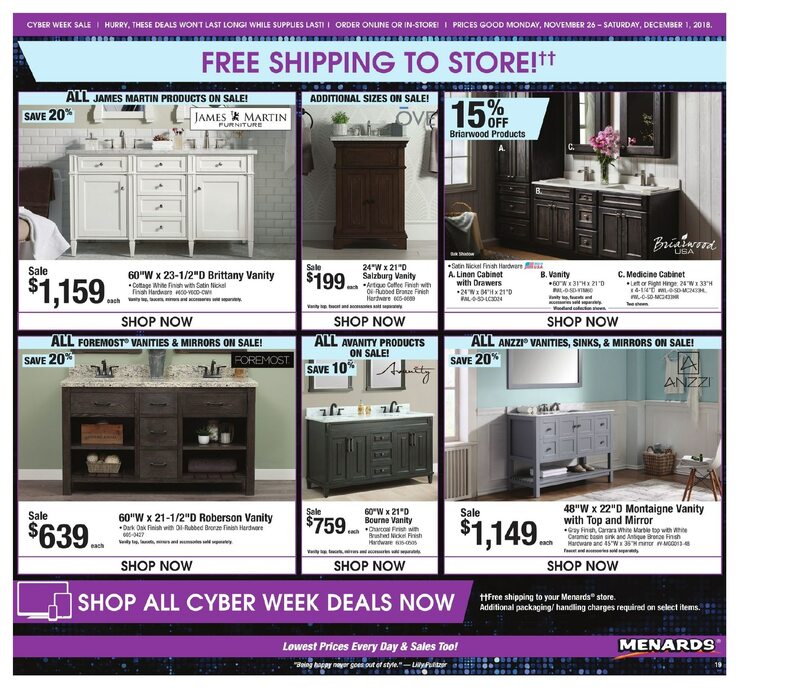 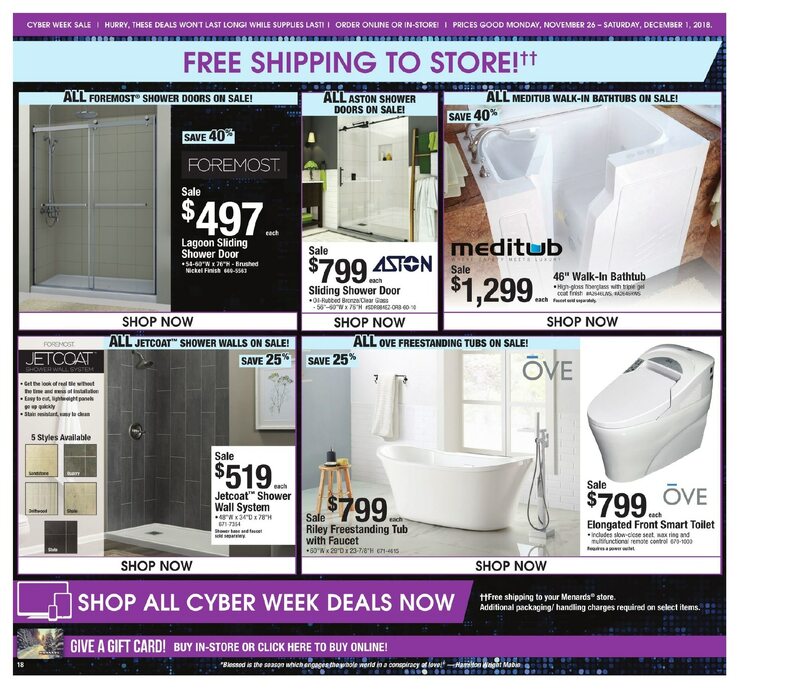 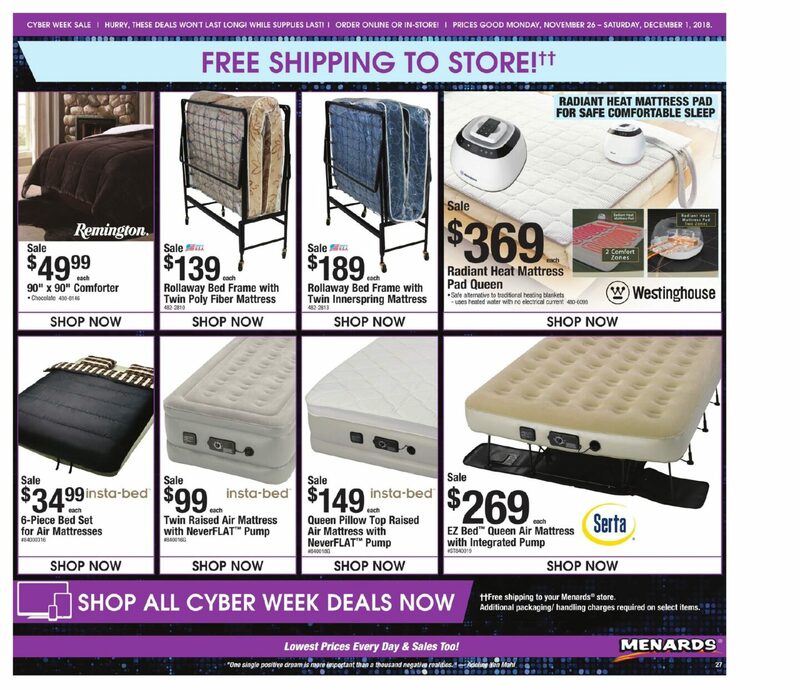 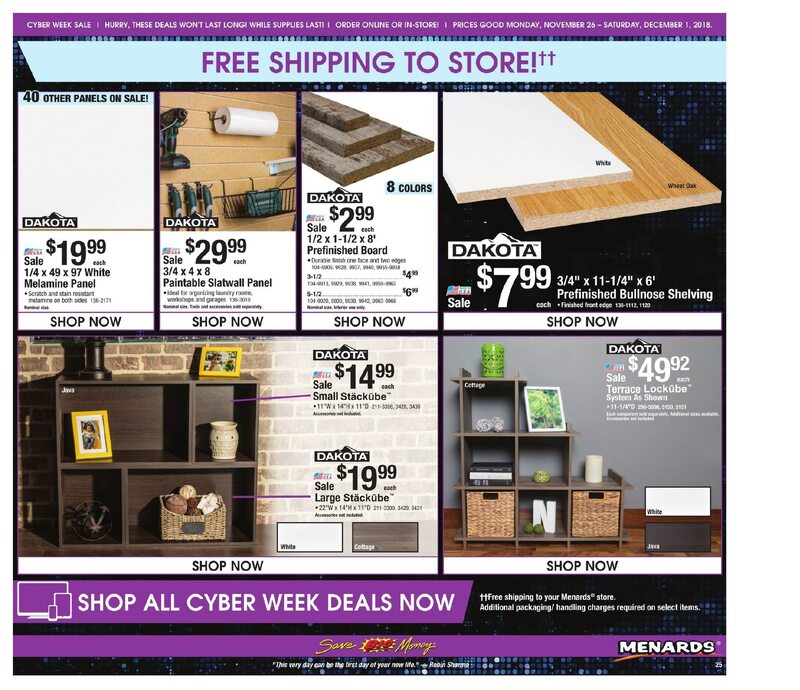 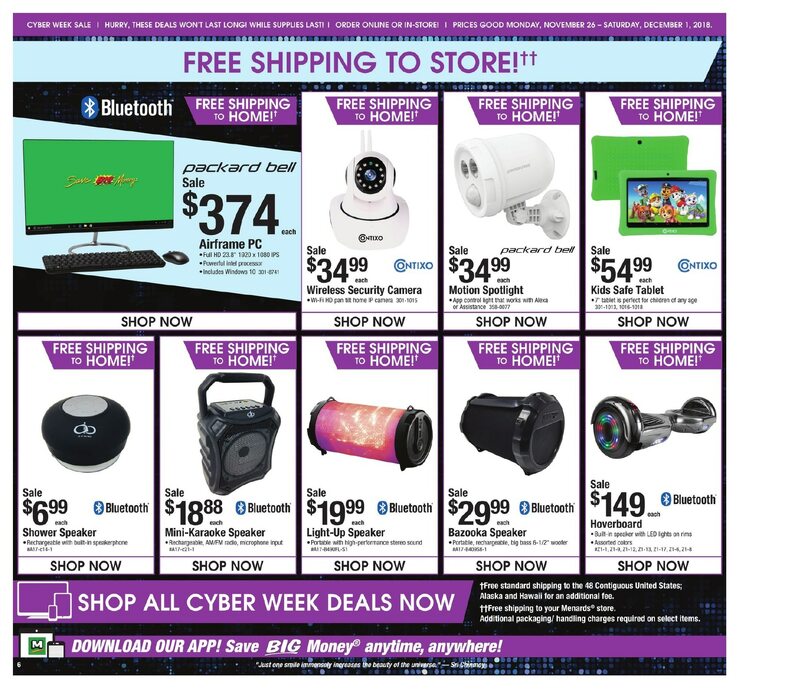 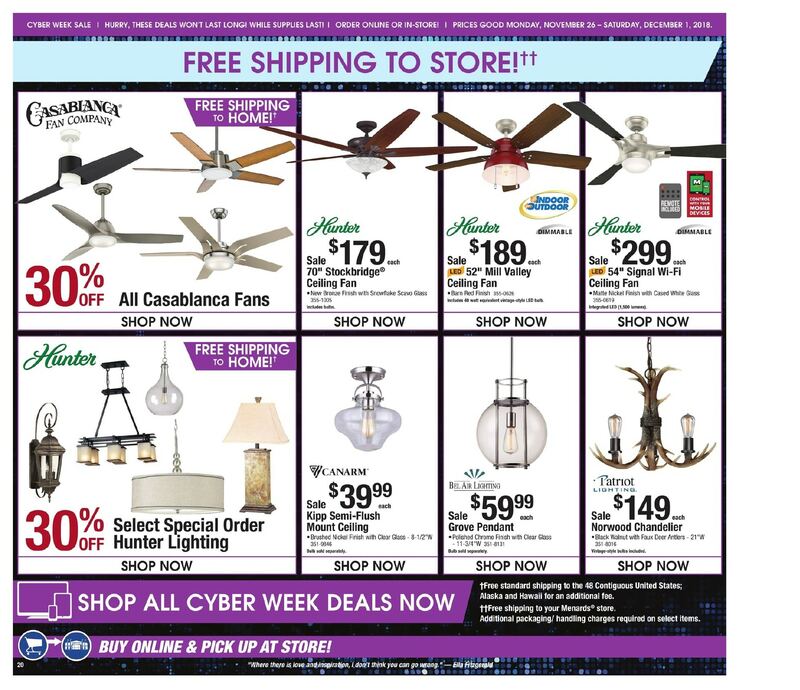 Don’t forget to check this year Menards Cyber Monday deals before heading out to shop.